The Andes in the south of Ecuador are very different to those in northern and central Ecuador, with moorland at lower altitudes and unique vegetation assemblages. This is why protected areas such as as the Yacuri National Park are so important. 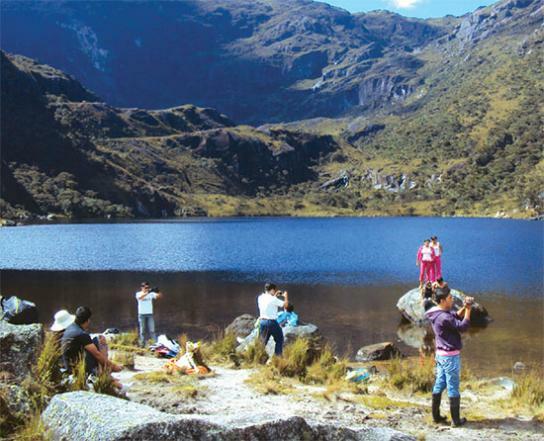 The National Park is located southeast of the town of Amaluza, between the provinces of Loja and Zamora Chinchipe, on the border with Peru. To the north of Yacuri is the Podocarpus National Park and south, in Peru, the National Tabaconas - Namballe Sanctuary. Yacuri is a key fragment of the natural, cross-border corridor between the two countries. The park protects moorland, cloud forests and dry scrub, which are the result of the confluence of climatic conditions from the dry west and the more humid east. Yacuri is also part of the Podocarpus - El Condor Biosphere Reserve, an area of great importance for the conservation of biodiversity in the south. 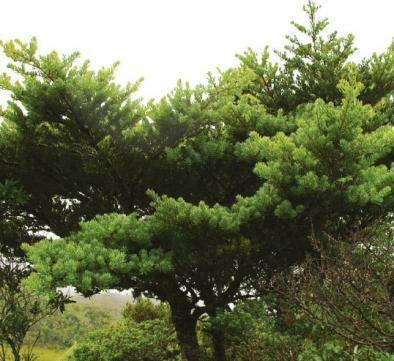 Biosphere Reserve Podocarpus - El Condor (Declared by UNESCO in 2007). Yacuri lake system declared a Ramsar site in 2012. From Quito, Guayaquil and other cities you must get yourself to the city of Loja. From Loja. Take the road to Amaluza (120 km paved and 30 km unsealed). Lagunas Negras 1 and 2. Take an unsealed road that leads to the Jimbura parish (18 km). Fifteen kilometers after Jimbura you'll reach the entry checkpoint. Laguna Yacuri. Take an unsealed road that leads to the Consapamba neighborhood and continue on until you reach the Association El Arbolito where the entrance is to the El Arbolito trail. Entrance to Cofradia. Amaluza. Province of Loja. The Yacuri National Park has sloping topography, with a large system of lagoons including Lagoon Yacuri, Las Arrebiatadas, Los Patos, Las Negras, Coloradas, Arenal, Huicundos, and Laguna Cox. The National Park is fairly steep, and geological formations are varied, dating from different geological periods. Because of Yacuri's topography, the only real activities undertaken there are realted to its conservation. Romerillo path: this is an easy 1 km path. 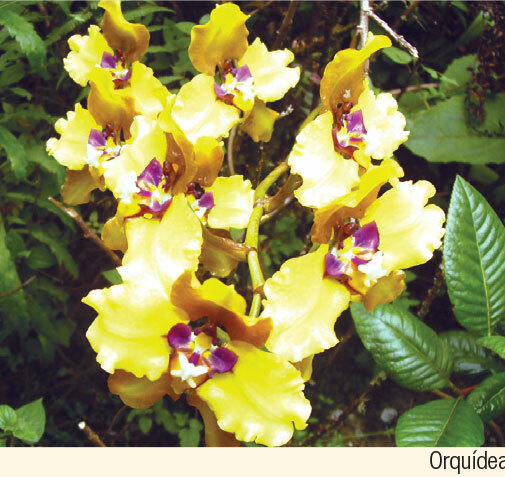 You can see a great diversity of flora and fauna such as romerillo species, orchids or birds. Laguna Negra path 1 and 2: A 3 km path that takes you to the Lagunas Negras (Black Lagoons) and Los Pichachos. Here you can camp and fish, and it's a great place to take photos. El Arbolito path. This is a 25 km trail, that leaves from Consapamba and takes you to Laguna Yacuri. To make the tour guide and camping equipment required. In several areas around this national park we have found important archaeological remains, which shows that this territory was occupied by several ancient cultures. Some of the most important archaeological sites are El Camino del Inca (The Inca Trail), Plazas del Inca or Churos, petroglyphs and cemetaries or Cuevas de Gentiles. Another aspect that stands out is the traditional use of several of the lagoons in the Park, as well as the cultural tradition of throwing coins into the lagoons to bring good luck. It should be noted however, that this is not an activityconsidered in accordance with the principles of conservation and we urge visitors to avoid it. Yacuri has 280 species of plants, of which 32 species are considered endemic to the area. Despite the low diversity of plants officially recorded, it is estimated that the area could be home to at least 1,300 species of vascular plants. Most of the park is made up of large areas of wilderness where grasslands are interspersed with large areas of achupallas and shrubs such as chuquiragua and valerian. 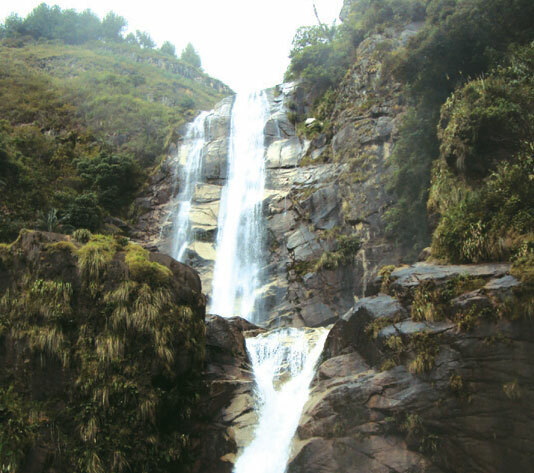 In some areas, like Angashcola, there are big sections of Andean forest with important bamboo-like clusters and romerillo species, cascarilla and pumamaqui. You might also find wild relatives of the chirimoya and toronches or mountain papayas. In terms of animals, the area is home to 18 species of mammals, 111 bird species and 11 amphibians. 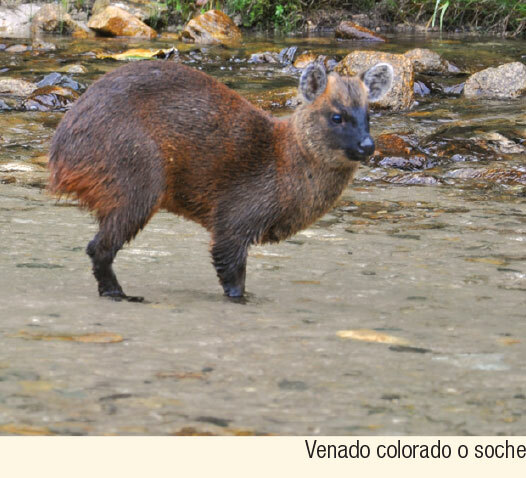 Mammals include the oso de anteojos (spectacled bear), the dwarf deer, puma, an Andean mountain wolf, Andean guanta, the skunk and the mountain tapir.bird-wise there are bearded turkeys, parrots, toucans, hummingbirds, tanagers, imperial snipes and brown belly cotingas. There are also Cutin frogs, glass frogs and marsupial frogs. 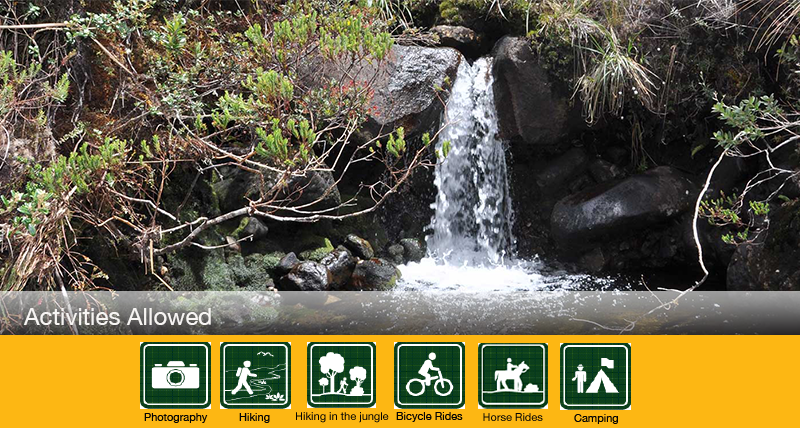 Angashcola forest is located in a small mountain range adjacent to the Sabanilla valley. Most of the Communal Reserve is made up of high-Andean cloud forest, dominated by rosemary trees and large swathes of grassland. The higher areas are covered with low trees and then further up, barren moorland. 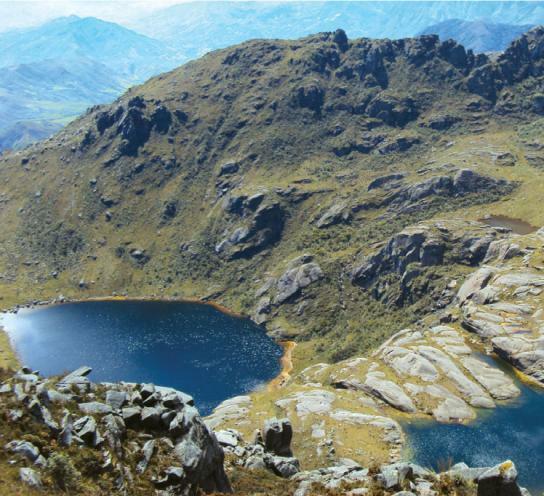 The site is ideal for bird watching, as many of them are endemic to this area of the Andes. You might also find evidence of mammals like the spectacled bear, mountain tapir, vizcacha and the Andean mountain wolf. The Yacuri lagoon complex consists of a total of 48 glacial water bodies. They are mainly located in the southern part of Yacuri National Park. Moorland vegetation surrounding the lagoons is different from the north of the country, and has many species that are endemic to the region of the Southern Andes. Clothing. Warm clothes, waterproof poncho, sweater or raincoat in case of rain or drizzle. Proper footwear, with good walking boots if you're undertaking medium-long walks.